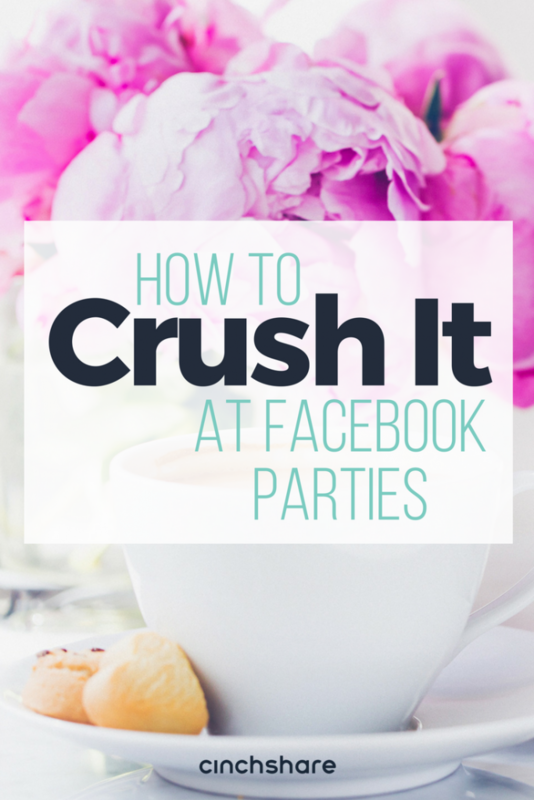 How to Crush It at Facebook Parties! Facebook parties are not only a way to have fun with people you’d never meet in person, but they’re also a fantastic way to increase your sales and grow your business! While we will always love a girls’ night out where we get prettied up and leave hubby home with the kids to go throw a great party at our host’s house, a Facebook party is a welcome way to entertain guests on any night of the week without leaving the comfort of your own home! 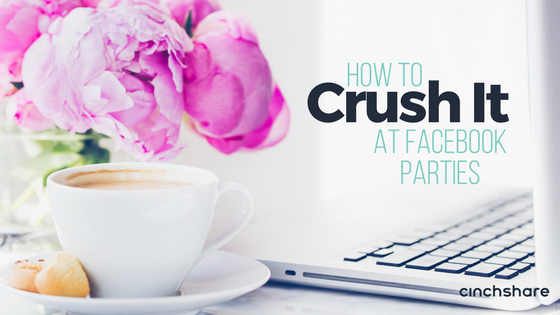 Facebook Party Tip #1: You MUST coach your Host! Facebook Party Tip #6: Wrap It Up With a BANG! If you apply these tips to your own Facebook party strategy you’ll be sure to please! Your guests will be fully engaged and entertained and most importantly, they’ll be interested in placing an order with you because guess what? You just crushed it! And don’t forget that you can schedule your entire party in seconds with CinchShare’s Batch Post feature which allows you to have a completely stress free experience and concentrate 100% on your guests; they’ll love all the attention! 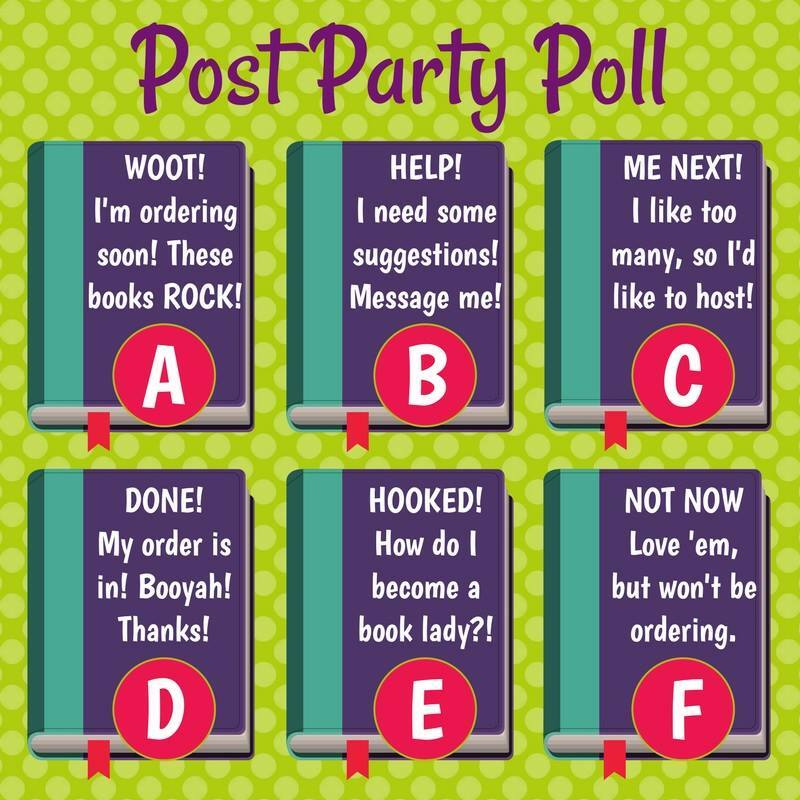 Comment below and let us know which tip you’ll be adding to your next Facebook party! 9 Great Facebook Party Games to Increase Engagement! I love the post party poll idea. Will be incorporating this in my parties. Use a Starter Kit to give your Instagram Grid some glam! Which Social Platforms are Best for My Business? Create, organize, save and schedule posts, pins and tweets all in one place with effort saving features to free you from the overwhelm of social media marketing.